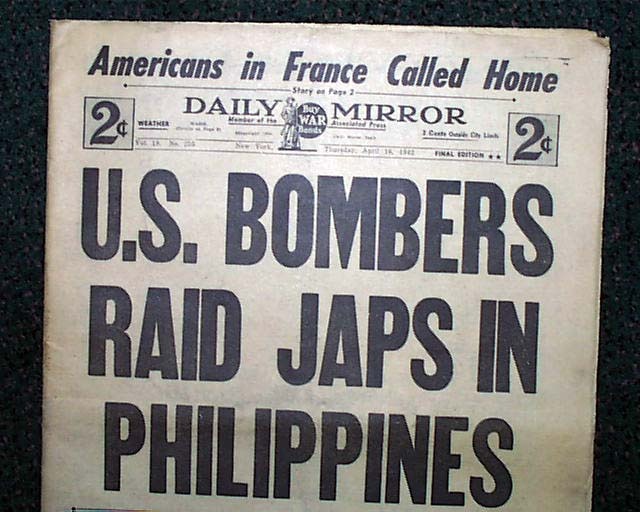 DAILY MIRROR, New York, April 16, 1942 The 3-line, full-banner banner headline announces: "U.S. 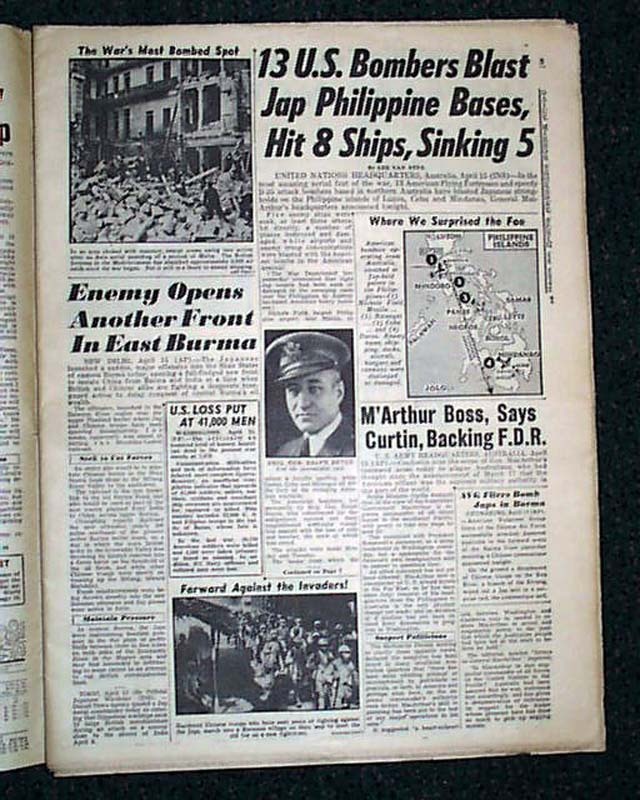 BOMBERS RAID JAPS IN PHILIPPINES," with supporting text and additional photos on inside pages. 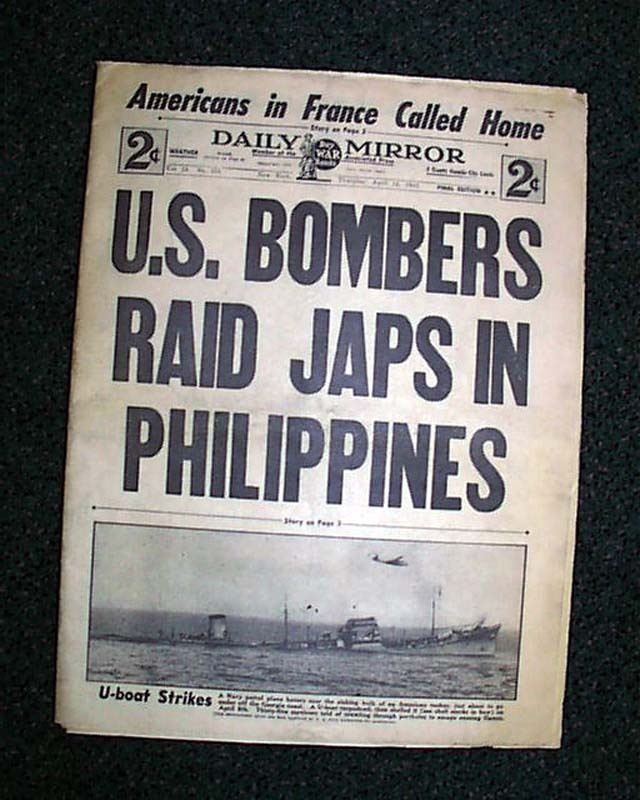 Great WWII era issue for display. 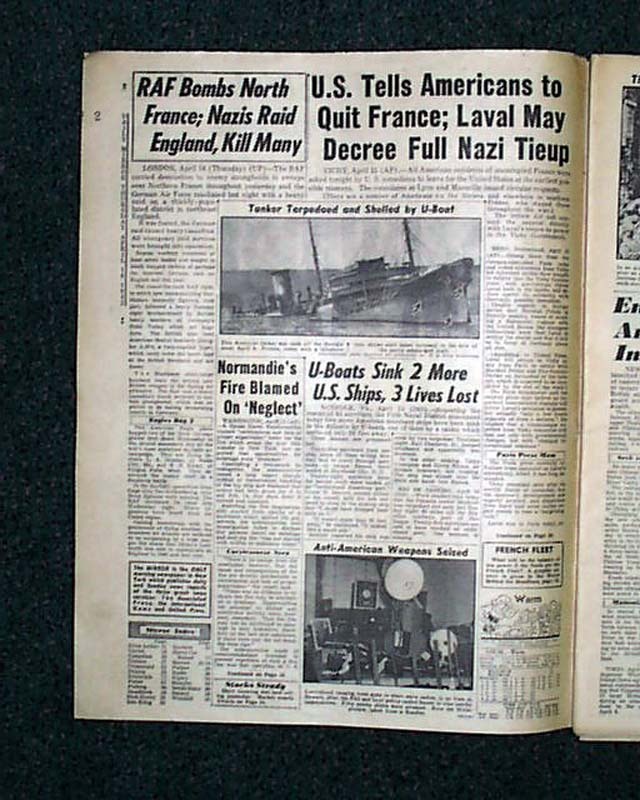 Other war related news along with news of the day found throughout. 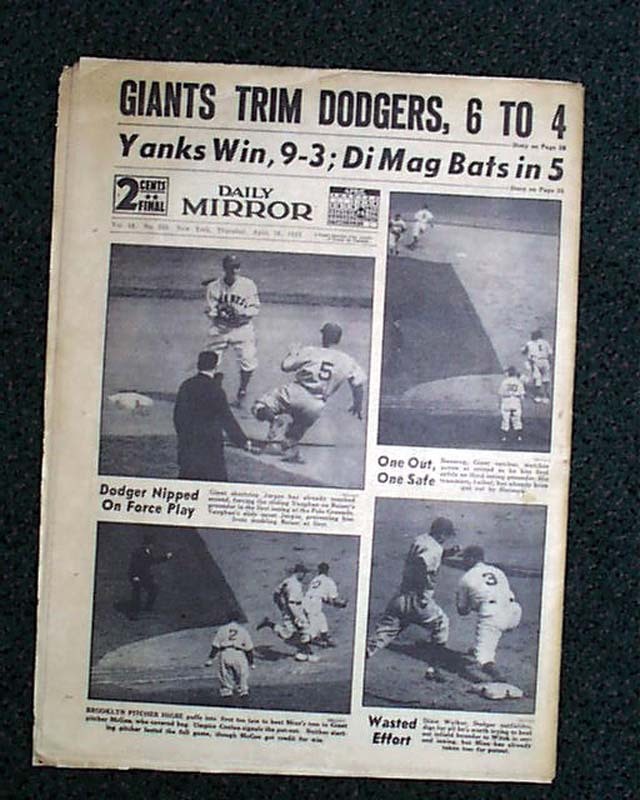 Complete in 36 pages, tabloid size, evenly toned, nice condition.